Treat your skin with the best that nature has to offer to ensure a radiant clear complexion and brighter looking skin. 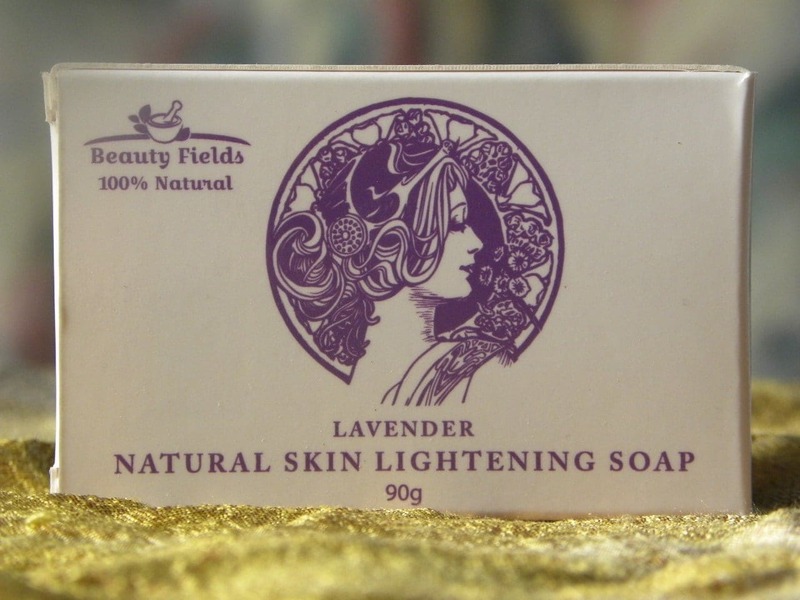 Enriched with natural skin lightening herbs this bleaching soap is one of a kind. Calendula – Ancient Egyptians used Calendula to rejuvenate their skin. Bathing in calendula infusion was thought to give one a healthy glow. Parsley – Rich in vitamin C and other antioxidants/ Vitamin C is clinically proven to reduce skin pigmentation. Directions: Use daily as regular soap for face and body. Leave it on for a minute or two before rinsing. Apply moisturizer if needed. How should I use Beauty Field’s Skin Pigmentation Bleaching Soap and cream? The skin lightening soap – Apply on the skin to make a white leather and leave on for 1-3 minute according to your skin type (Oily skin – a min dry skin – 1 min and moisture). Do it twice a day for the first 2 weeks or until you reached your goals. Then you can cut the frequency down to once a day, every 2 days or even less. The skin lightening cream should be used once a day before sleep or anytime when you are at home, preferably not outside in the sun. Can be left on skin until morning then wash and continue with your skin care routine. Also here, you can reduce frequency with time. Does the skin lightening soap effect last long? Yes, the effect stays for around 2 weeks after you stop using these products. Please email me with any issue you may have. I answer within less then 24 hours. Any problems with items you receive must be reported to us within 14 days of receipt. We guarantee money back refund without question if the product is defective in any way. Items must be returned in the original condition in which they were received.